It’s the tail end of winter and the beginning of spring, and in most areas, people are preparing their gardens for spring planting. But what is necessary to prepare your spring garden? Are there specific steps you really should take every year? No matter if you’re a beginner or an old hand, you’ll probably find something on this list that makes you go “oh, yeah, I need to do that”. So here’s a quick checklist of items which you should do to get everything in perfect order before you dive headlong into spring garden planting! I know, this seems a bit odd, but before you can start doing work in the garden, you need to prepare your equipment. After all, you can’t do the work if your tools aren’t ready, right? Prior to getting out and working the soil, be sure all of your tools are thoroughly cleaned and sterilized. While most people are likely to give their tools a cursory cleaning before storing them through the winter months, any remaining plant sap or dirt and debris can hold bacteria or fungal spores. So before you break out the loppers to trim branches, take time to fully disinfect your tools. You probably got most of the dirt off before putting them away, but a soak in a solution of 10% bleach to 90% water for about a half hour will kill off any soil pathogens that might still be present. Other things that work well to sterilize tools include Pine-Sol (again, give your tools a nice soak in a diluted solution) and liquid Lysol cleaner. All three will kill off bacterial infections and will remove any remaining fungal spores, but I tend to use bleach just because it’s inexpensive and readily available everywhere. Once you’ve disinfected your tools, be sure to use clean water to rinse off any remaining bleach. You can then use that same solution to dip your tools between cuts so you’re not spreading disease around. Be sure to clean and rinse off your tools at the end of the day, as residual bleach can be slowly corrosive to your tools. A good coat of oil between uses will keep your tools from building up rust. But if your tools have rusted, don’t worry. There’s ways of fixing that as well. Here’s a great video on removing rust from your pruners — and this technique will work well for other tools too. This is also a great time to sharpen any tools that need it. Your pruners and loppers will probably need a good sharpening, but your lawn mower blade often gets forgotten in the process. Shovels may also need to be sharpened slightly, especially if they have a pointed tip meant to cut into the soil. If your lawn mower is a gas model, you hopefully emptied the gas tank and made sure the carburetor was clean before storing it away for the winter. But if not, change the gasoline in your lawn mower. Also, check the carburetor, just to be sure nothing is causing problems. This time of year is a good time for servicing your mower, just to be sure it’s in a good state for the rapid springtime growth you’re about to experience. Finally, it’s time to clean your greenhouse! Your greenhouse needs a good thorough cleaning before all your young plants take up residence. It might be cold outside, but this spares you the need to do it later. Eliminate old debris, clean off shelves, sweep out soil remnants, and wash the clear surfaces so light easily penetrates. Once your tools are set, it’s time to start the real work! A couple weeks prior to planting anything is the time to get your garden beds ready for the year of growth to come. Early spring is ideal timing to add soil nutrients, ensure the soil isn’t compacted, and remove any stray weeds. Many people choose this time of year for tilling, as well (although if you’re using no-till methods, you may be able to skip that step). Start by eliminating any weeds that have appeared. Weeds have a way of spontaneously erupting the moment you even think of the word “spring”, and you’ll find them nearly every year. Go take those out before they can go to seed and start a multi-year problem for you! I personally like to take them out by the roots so there’s no chance of them resprouting and continuing to grow and spread. 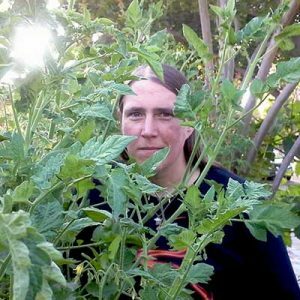 If you had problems with caterpillars last year, you’ll want to be sure all of your garden beds have been thoroughly weeded, and then turn over the soil in the top 6-8 inches. You will be able to find any hidden pests that overwintered in your beds that way and remove them. This is especially true if you were having problems with cutworms. Since cutworms are one of the earliest pests to emerge in the spring, and they’ll attack your seedling plants, you don’t want to risk them already being present. Spring is when you’d also work your cover crops into the soil and give them a couple of weeks to start decomposition before planting. Cover crops provide a great nutrition boost to young plants. Do a soil test and a pH test at this time of year to see what your beds are going to need. You can send a soil sample off to your local ag extension, or purchase one of the commercially-available test options. This is mostly to give yourself a notion of what needs to go into the ground. Compacted soil needs to be loosened to provide airflow and allow young roots to easily grow. There’s multiple ways of loosening your soil. If necessary, you can do it with amendments such as perlite which will help provide nooks and crannies in the soil for easy airflow. 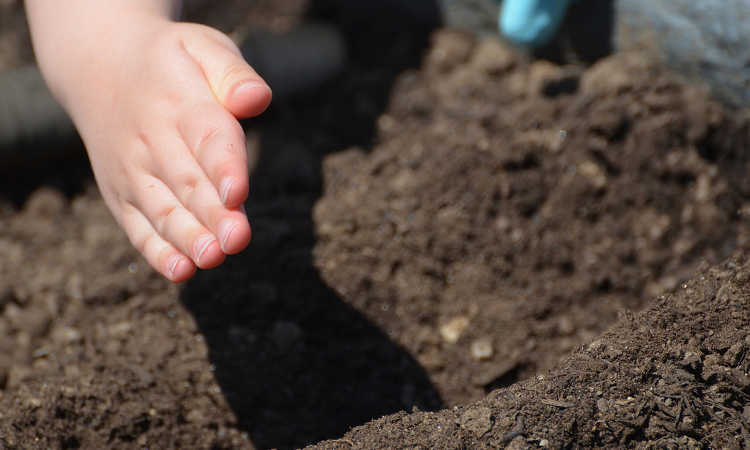 Simply adding some organic matter will also provide plenty of air and moisture-retention potential, so this is a great time to work compost into the soil. Raised beds may need to be topped off with more soil. This may not seem like it’s going to be a problem when you first install your raised bed. After all, you probably put what seemed like a ton of soil in there! But in subsequent years, you’ll notice your soil will have reduced significantly. This is the best time of year to add more material in there and blend it with your existing soil. Be sure the soil you add is clean, free of weed seeds, and sterile. Finally, it’s time to fertilize. Did your soil test come back telling you that you need more nitrogen? Is potassium low? Decide what fertilizer you’ll need based upon the plants you’ll be putting into that spot. Different plants have different needs. 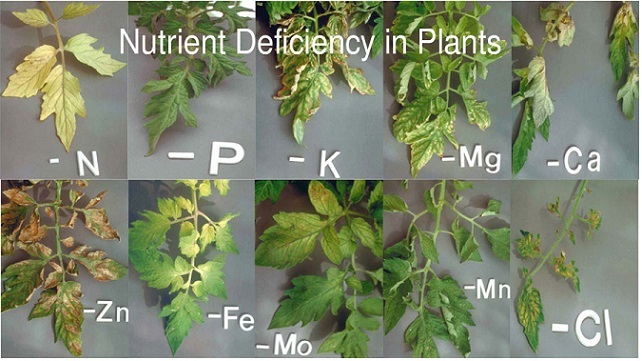 Tomatoes enjoy a kick of calcium to prevent blossom end rot. Your pansies and petunias might want phosphorous for flowering. A couple weeks prior to planting is good for most organic fertilizer choices, as it gives the nutrition time to spread throughout the surrounding soil. However, you can also work in slow-release granular fertilizers at this time of year for long-term nutrient boosts. If you’re going to be direct-seeding into your beds, you’re not going to want to mulch yet so young plants can germinate. However, if you’ll be doing transplants, mulch once you’ve done your soil preparation. 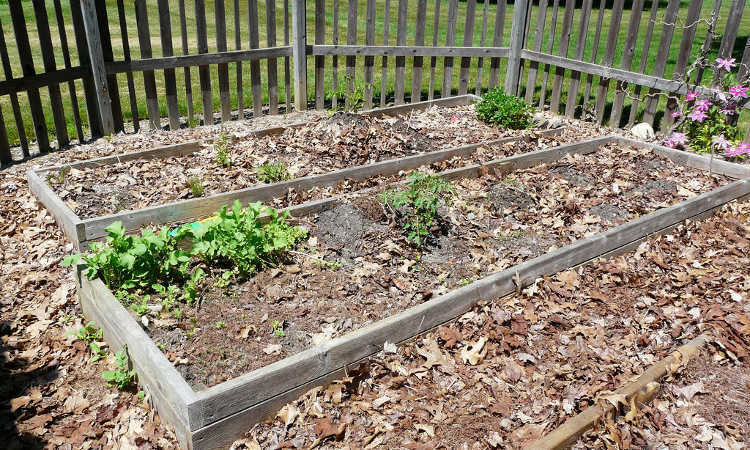 A thick layer of mulch can protect your prepared soil against weed seeds and other problems. Those of us who are direct-seeding might want to drop a piece of landscape fabric over the soil surface and tack it in place to keep weeds out while we focus on other stuff. Begin by removing any winter tree wrap you may have put in place. Once the frosty conditions have abated, trees no longer need that protective coating to keep them warm. 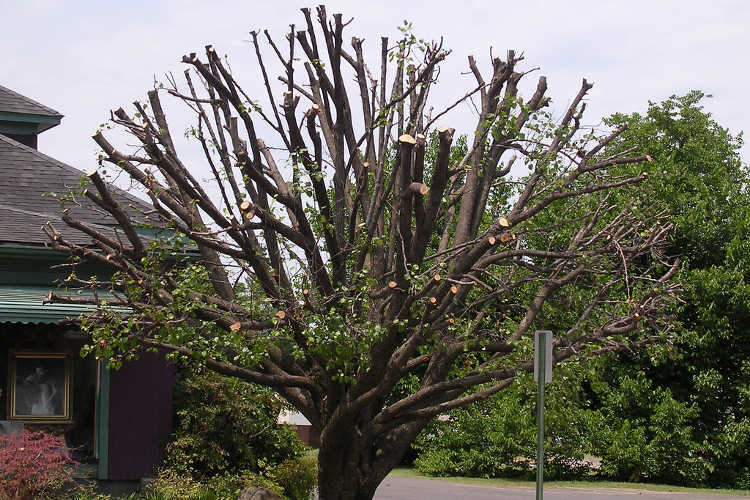 Most people tend to prune their trees in the winter so that come spring, the trees can simply grow. But if you have not already done that step, prune before your trees begin to start leafing out. The earlier this is done, the easier the tree will form new growth. Dead branches can be removed once you see them. As other branches develop leaves, it’ll be easy to spot the dead wood. Getting that out of the way helps your tree to spread out to fill the gap and prevents falling branches in windy conditions. Fruit trees may need a good oiling. Spraying horticultural oil helps reduce pests and some tree diseases. This is especially true for fruit trees, but is good for ornamentals too. While you likely gave them a good spraying in the fall, doing another spray will help reduce problems like spider mites, aphids, and scale. Relax your supports on older trees. Did you plant a tree last year? If so, and it’s doing well, it may need a little less support and a little more growing space. If you have wires to help steady it in the wind, loosen those so the tree doesn’t try to grow around the wire. Spread out the spacing on stakes to encourage more growth. Time to replenish the mulch! Mulching around the base of your tree (but not up against the trunk) keeps moisture in the soil and reduces the chance of weeds taking up residence. Leave a few inches between the trunk and the mulch to reduce the risk of mold or fungal growth. It’s good to use the canopy as a guide for how far out to mulch your tree’s base. Mulching is most beneficial for trees that are younger than 10 years of age, as they will form much deeper root systems as they mature. 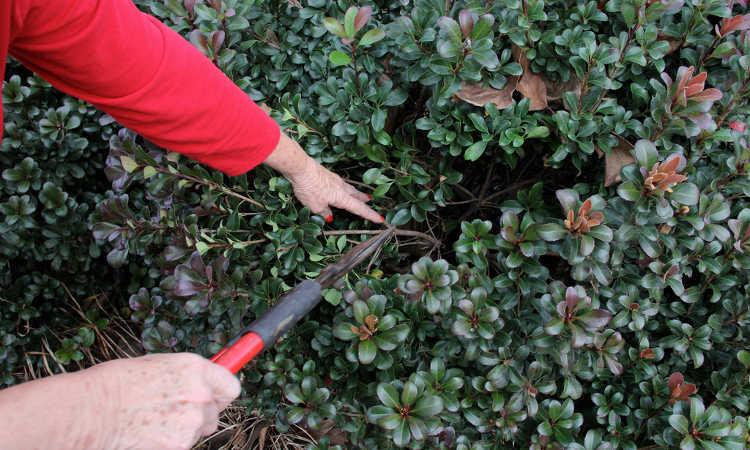 At the very beginning of spring, before your shrubs begin to bud out and form leaves, it’s time for a light pruning for shaping purposes. However, if your bushes are already showing signs of new growth, do not prune them at this time. Perennial flowers often get heavily mulched for the winter. As the ground begins to warm, you can remove any matted mulch. This is especially important if you’ve used leaves as mulch, since they can form a dense mat, and pests can hide in leaf litter. Either completely dispose of the old mulch material, or put it into a hot compost pile. You can re-mulch once the rainy season eases to help keep moisture in the soil for the summer. Early in the spring, before your perennial plants begin to put out new growth, cut them back. Most perennials should be trimmed back to about 2″ above the ground. Ornamental grasses should be cut back to about a fifth of their full size. This enables your plants to put up fresh growth. Some plants may be in need of division. If you haven’t divided a plant for 2-3 years, it’s time to consider doing so. Not only does dividing provide you with new plant starts that you can plant elsewhere, but it helps keep your older plants healthy, as they have ample room to grow and spread. Finally, if there’s any shrubs you’ve been meaning to move, now’s the time to do it. Prepare their new location in advance, then carefully dig them out, being sure to get all of their root structure. This process can be slow, but is well worth it later once the plants have become established in their new location. With the spring comes the crabgrass. It’s essential to strike quickly before crabgrass takes over and forms deep root structures, or else this will become a long-term problem for you. Similarly, remove dandelions and any other weeds you might find so that they don’t produce seed and come back over and over. 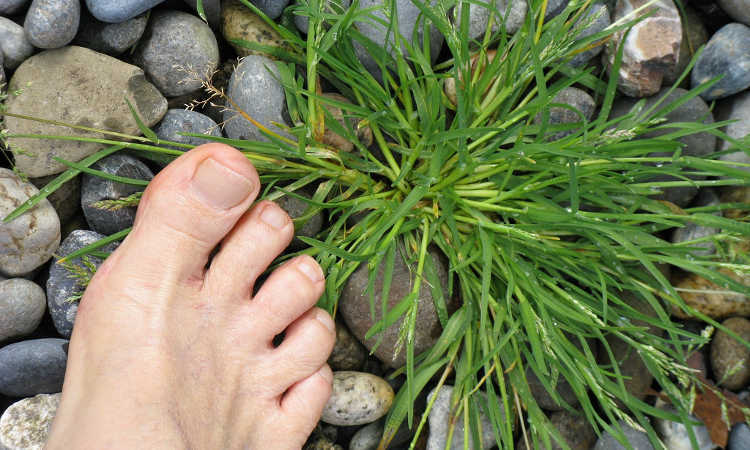 Be sure to reseed with your lawn seed anywhere where you remove crabgrass, as well as on any bare spots. If necessary, add a little compost to the bare spots to encourage good growth. 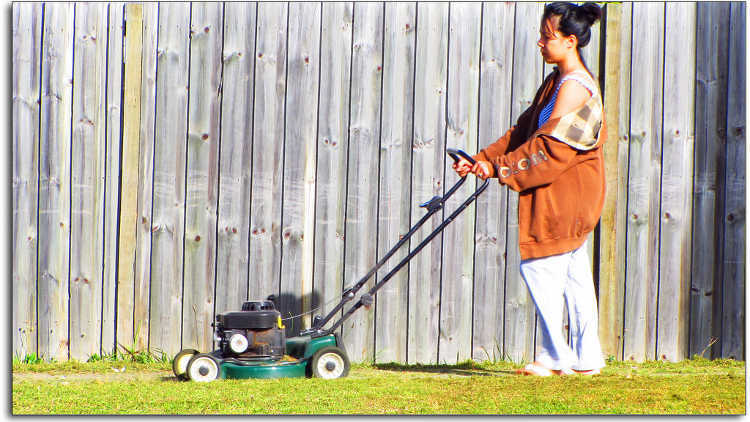 Lawn aeration also usually happens during the spring months when the soil is soft and easy to work. Whether you’re using a hand aerator or a machine, this process gives your lawn breathability and offers you the option to add some compost directly into the soil. .
Be wary of adding too much fertilizer or compost during the spring months, because it can wash off in the rain. Lawn aeration will create small pockets into which fertilizer can easily fall and stay on your lawn instead of floating away. Speaking of floating away, be sure to clear any remaining leaves or debris that built up in drainage trenches or low spots in the yard. 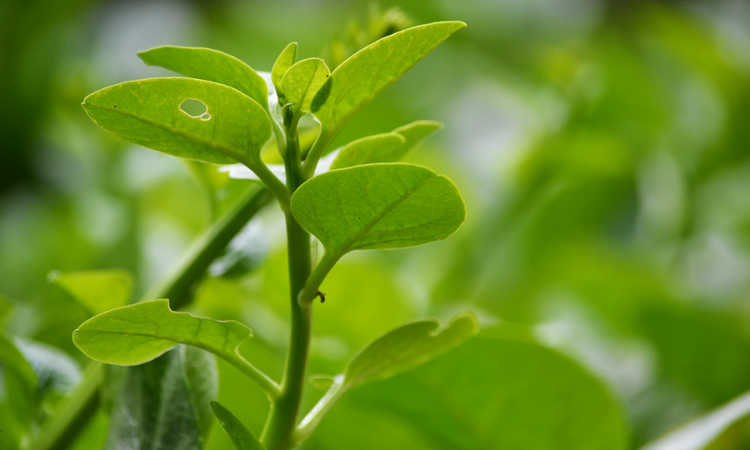 This is essential to reduce the chances of overwintered pests, but also ensures that any subsequent spring showers won’t develop large pockets of moisture. You can also dethatch your lawn in the spring. This removes any old grass clippings, twigs and branches which might be blocking new growth, and helps young grass blades spring forth from the soil. This is the time of year to check your irrigation system for leaks, as well as for good spray distribution. If you’re using an above-ground system, replace any damaged hose or drip flags at this time. Check these as soon as the ground has thawed enough that freezing pipes aren’t a risk. 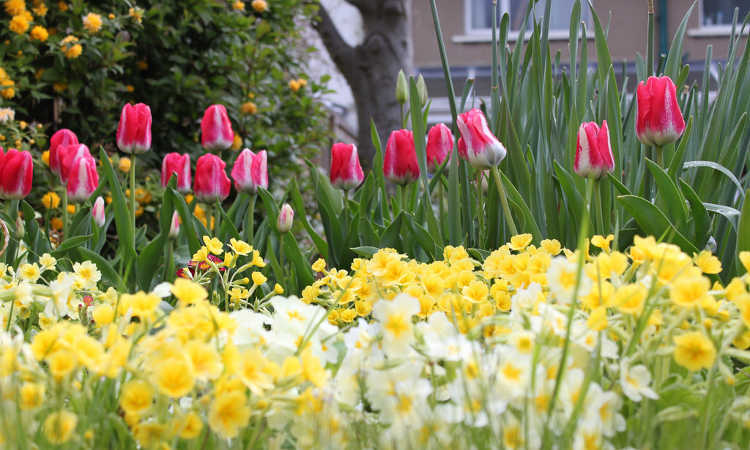 Spring is also ideal for adding long-term garden features. 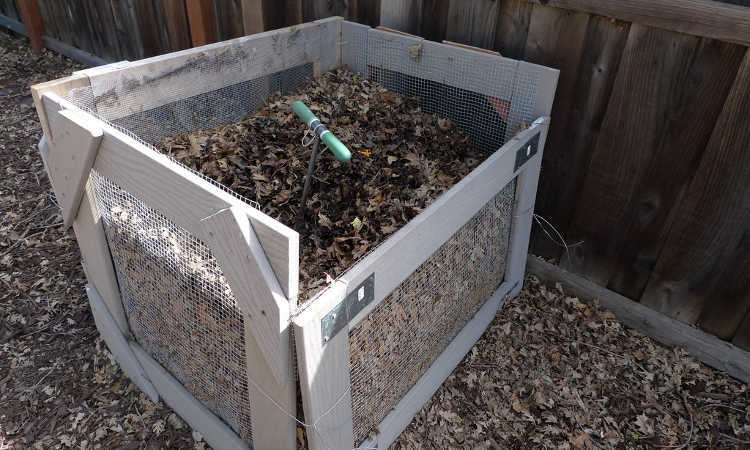 If you haven’t developed a compost pile yet, now’s the time to add one, even if it’s something as simple as a compost tumbler. You’ll be developing lots of green waste, and why not turn that into rich, lush soil? Constructing your potting bench now would also be a good choice. Replace old mulch around pathways during the spring. This is important to prevent weed appearance, but also just generally makes the yard look more appealing. Any large mulched areas you may have can be re-mulched at this point, too. Catch vines before they take over. Does your neighbor have a vining plant that tends to devour your fence during the summer? If you catch it in the spring before it can get established, you can keep it from ever taking control. For that matter, fence repair is a great idea at this time of year. This is a good time to re-secure those loose boards or replace any which warped under the weight of snow or ice. The ground is soft, so if you need to replace an older stretch of fence, grab those post hole diggers and get to it! Most of us develop a spring garden just so we can plant all the things. But it takes a little planning to decide what to plant first, and when to start the next stage of planting. February to March is the time of year for many types of fruiting trees to be planted in California. Tomatoes need to be in the ground in April for best production. But that’s California… and not everyone’s out of their winter wonderland yet. 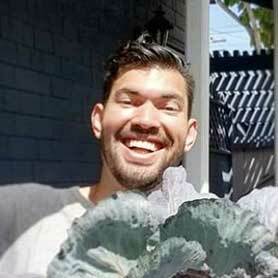 If you haven’t already done so, research your plant choices. Look at your standard weather patterns, and decide when you’ll be planting your trees, your shrubs, flowers, and vegetables. 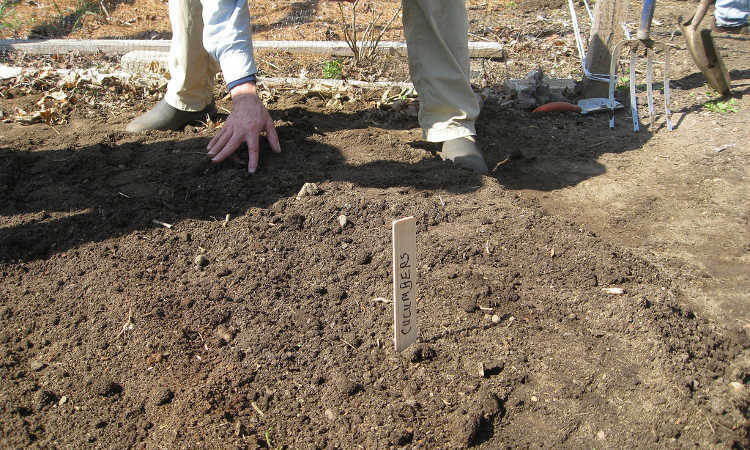 There’s a thousand guides out there written by master gardeners that can tell you exactly when to plant the specific plants for your area of the country. While I like to do my planning in the winter so I know exactly when I need to get everything going, you can start this step anytime. It’s early enough in the year that you can still have a fantastic garden! Edible spring garden plants include things like lettuce, spinach, many types of onions, short-season leeks, peas, and virtually anything else that likes growing temperatures between 40-70 degrees. This is also the time to plant fruit trees like peaches, plums, nectarines, and other summer fruit so they get started before summer’s heat comes on. In areas where grapes grow well, spring is the time to start new grape vines so they can get established. Currants should be started in the spring, too. And starting perennials like asparagus is ideal right now! 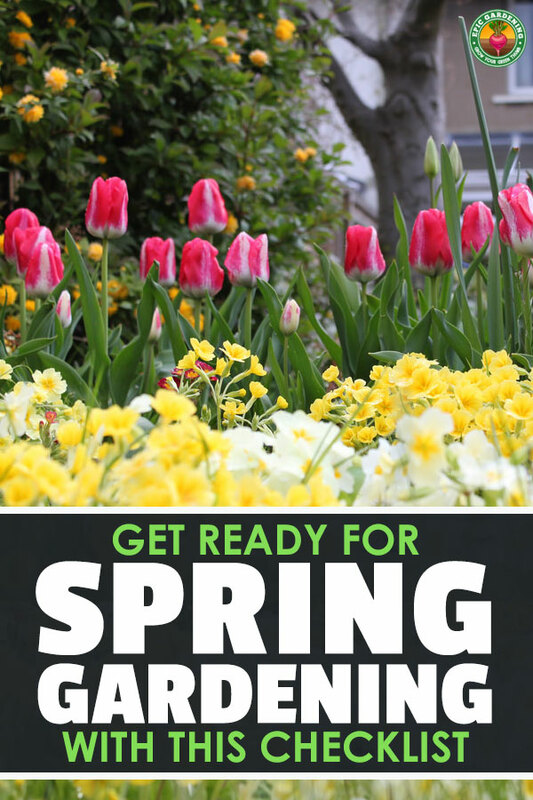 Don’t forget your springtime bulbs such as day lilies and tulips, or early-flowering plants which provide lots of color and growth to your garden. Bearded iris, crocuses, and even bleeding heart should be planted at this point. The late winter and early spring is also the perfect time to start germinating your tomato plants so they’re a good size for planting out later. Other summer plants such as zucchini can also be started right now to get them a head start for later transplants. It seems like a neverending series of things to do in the spring, but after a few years, all of this becomes second-nature. As we charge forward into spring, taking these simple steps to get your garden the best start for the year will help it to thrive! 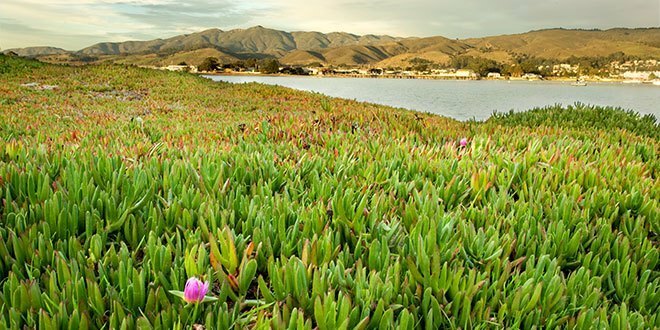 What’s your favorite spring plant? What’s going into your spring garden this year? Tell me in the comments!